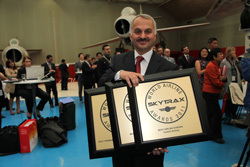 According to the results of the evaluation 2011, Turkish Airlines has been chosen as the winner of the 3 categories by Skytrax which is a world recognized brand associated with air travel excellence in the 21st century, providing unique expertise to the world airline and airport industry through the most professional Audit and Service Benchmarking programs of Product and Service Quality. Turkish Airlines wins �Best Airline Europe�, �Best Premium Economy Seats� for its Comfort Class seats and �Best Airline Southern Europe� at the World Airline Awards. During the 10 month survey period, 18.8 million airline customers from over 100 different nationalities participated in this customer satisfaction survey. The Skytrax World Airline Awards Ceremony took place in Paris, France and the awards were handed over to Turkish Airlines� General Manager Temel Kotil Ph.D. by the CEO of Skytrax, Edward Plaisted. One of the fastest growing airline company, Turkish Airlines received several awards by Skytrax which is known as �Passengers Choice Awards� and marked its name in the world aviation industry. The airline won Skytrax Award for the �Best Airline in Southern Europe� also in last year, as the airline achieved the same great success by winning the �Skytrax World Aviation Award 2009� known as the Oscar of Aviation industry. According to the Skytrax results of the evaluation 2010, Turkish Airlines has been named the �Best Airline in Southern Europe� and the best quality in economy class with the inflight service which is being served by Turkish Do&Co. Meanwhile the airline marked its name on the 3th place in the best airline companies in all Europe countries. December 4, 2013 Following the addition of Sochi and Moscow to its list of routes, Turkish Low-Coster Pegasus Airlines has compelled other competitors in the market to lower their fares. This was the statement issued by Guliz Ozturk the director of Pegasus Airlines. Ozturk stated that tickets that were previously sold at $400 by the Turkish and Aeroflot airlines have dropped considerably to $300 on their Istanbul-Moscow flights. According to Ozturk, these commercial airlines are trying to curtail their prices to $233, which is Pegasus� offer on Moscow-Istanbul flights. Pegasus also offers advance tickets from $83.99. Since Russia�s Air Code requires that passengers are treated to free luggage transportation services and meals, Pegasus does not burden its passengers by passing this cost on to them. Instead, they place such charges on other services such as insurance, extra luggage and seat selection. Operating on a model that is inexpensive to maintain, passengers who board Pegasus airplanes with luggage weighing up to 20kg face no additional costs. Therefore, the Air Code that other competitors had cited earlier as hindrance in the market does not bother Pegasus. Though Pegasus faced opposition from Russian authorities regarding its new routes, the food policy did not raise any problems. It was hard to convince them to allow Pegasus to land in Moscow. And eventually when they did agree to such routes, they insisted that Pegasus had to operate only three flights weekly even though it has been commissioned to operate 7. Ozturk urged the Russian government to liberalize its air sector to take advantage of the growing traffic between Russia and Turkey. Talking to Moscow Times, Ozturk added that greater freedom in this sector would help the airlines involved reach greater heights. Currently there are three flights that Turkish low-cost airline operates on a weekly basis between Russia�s Domodedovo and Istanbul�s Sabiha Gokcen airports with its maiden flight taking off on October 8th. Days later, Sochi-Trabzon flight was added with ticket prices starting at $27. Apart from Sochi and Moscow flights, Pegasus also operates other routes. Since August 31st 2009, Istanbul and Krasnodar flights have been in operation with 252,111 passengers ferried on this route. Omsk and Istanbul flights launched back in June 2012 average a seat capacity of 63%. This is 20% lower than Krasnodar�s seat occupancy rate. According to Ozturk, Pegasus did not really think much of Omsk and Krasnodar cities but only used them because the authorities assigned them. Altogether, he says that the future looks bright for Pegasus Airlines mostly because their Moscow seat occupancy rate is expected to hit 93%. On its Moscow-Istanbul flights, Pegasus hopes to hit the 50,000+ passenger mark per annum. Daniel Burkard the Domodedovo airport manager is pleased with Pegasus flights that land at the airport. He reiterates that since more and more Russians are taking vacations in Turkey, the Turkish market is growing faster than the Russia market. With 2.5 million Russian tourists heading to Turkey, the Federal Tourism Agency has cited such growth as stemming from the visa-free regulation the two countries have. Further expanding its global reach in Africa, Turkish Airlines is launching services to Kinshasa on Monday, August 27th. Turkish Airlines will offer four roundtrip flights from Istanbul to Kinshasa per week - Mondays, Wednesdays, Fridays and Sundays. U.S. gateways, including New York, Los Angeles, Chicago and Washington, D.C. In April 2013, Houston will become the fifth U.S.
gateway flying direct to Istanbul. 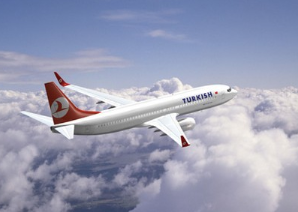 Starting March 26 2012, Turkish Airlines will have new daily flights between Los Angeles and Istanbul. 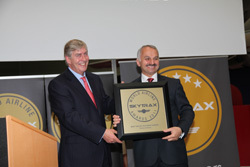 Turkish Airlines was awarded as Europe�s Best Airline by Skytrax. The airline offers the only non-stop service between Los Angeles and Istanbul which is linking to Europe, Asia, Africa and the Middle East. The new Los Angeles to Istanbul service is operated with a Boeing 777-300ER aircraft, which offers customers a high quality service in Business Class, Comfort Class, and Economy Class. Air Concierge offers discount airfares on Turkish Airlines from LA to Istanbul, Turkey and other Turkish Airlines destinations in Europe, Middle East and Africa. Call our Travel Agents today at (855) 855-5359 to find and book a cheap non-stop flights from LA to Turkey and beyond on Turkish Airlines! ISTANBUL, Turkey, November 6th � On November 6, Turkish Airlines continues its expansion in the U.S. with the launch of its inaugural flight from Washington D.C., the airline�s third U.S. gateway, to Istanbul. Non-stop flights are scheduled to depart from Dulles International Airport at 10:55PM to Atat�rk Airport in Istanbul four times per week (Tuesday, Thursday, Friday and Sunday) aboard an Airbus A330. To celebrate the new route, Turkish Airlines is offering an exceptionally discounted rate on all flights from Washington D.C. to Istanbul purchased on or before December 31, 2010. Round-trip flights are available for $751.00 including all taxes and fees, provided the travel takes place before March 31, 2011. 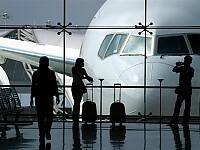 Passengers can book their travel on www.thy.com , call 1-800-874-8875 or work with their preferred travel agent. Turkish Airlines� new route from Washington, D.C. will allow more Americans the opportunity to explore Istanbul, Turkey and beyond. A gateway between east and west, Istanbul offers visitors an unrivaled glimpse into world history, the chance to experience one of Eurasia�s most cosmopolitan destinations and serves as a convenient hub for travel to other cities in Europe, Asia and the Middle East. Turkish Airlines currently flies non-stop direct flights from New York and Chicago. Aboard the Airbus A330, both Business Class and Economy Class passengers can expect to enjoy a culinary experience from top cuisines around the world and an extensive inflight entertainment menu complete with individual entertainment systems. A member of the Star Alliance network since April 1, 2008, Turkish Airlines continues to maintain its dedication to becoming a global leader in the airline industry. The fourth biggest network carrier in Europe, Turkish Airlines currently flies to 167 destinations, including 128 international and 39 domestic lines. Established in 1933, Turkish Airlines is known for its impeccable service, flight safety and connectivity worldwide. Turkish Airlines� U.S. expansion will continue with the launch of its fourth gateway and direct route from Los Angeles� LAX Airport to Ataturk Airport in Istanbul in March 2011. UGANDA (eTN) - The Kampala, Uganda, office of Turkish Airlines (THY) has confirmed that the airline has launched nonstop flights from Istanbul to Washington, DC, with convenient connections for travelers from Uganda and also from other East African destinations like Nairobi and Dar es Salaam. While presently only 4 frequencies per week are operated, this will be rising to daily flights once more when the expected B777 aircraft are delivered to Turkish. Based at Istanbul�s Ataturk International Airport, with secondary hubs at Esenboga International Airport and Adnan Menderes International Airport, Turkish Airlines (THY) is the national airline of Turkey and the country's largest carrier. The carrier operates a network of domestic and regional services throughout Turkey and the Middle East and international services to Europe, Africa, North America, South America and Asia. Turkish Airlines is a member of the Star Alliance. Turkish Cargo, the airline's freight division, serves over 30 destinations. By Capa aviation.